UNC Grade 5 High Tensile Zinc Plated Hex Head Bolts & Nuts are supplied with a standard flat & spring washer. Bolts Only are supplied with a standard flat washer. Included washers are supplied at no extra cost. Our black bolts and nuts and bolts only are not supplied with washers. UNC Grade 5 High Tensile Zinc Plated Hex Head Bolts & Nuts are supplied with a standard flat & spring washer. Bolts Only are supplied with a standard flat washer. The included washers are supplied at no extra cost. Our black bolts and nuts and bolts only are not supplied with washers. 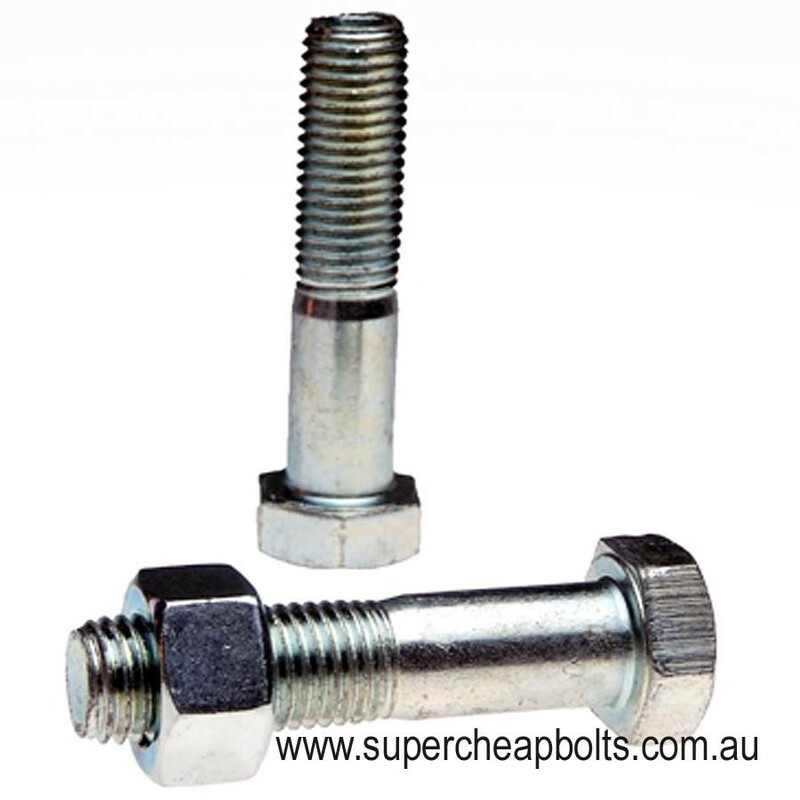 Supacheap Bolts Hexagon Head Grade 5 UNC High Tensile bolts are manufactured to Australian Standard 2465 and our bright zinc plated finish offers corrosion protection, suitable for general purpose internal and external higher strength bolting applications. Supacheap Bolts currently stock 1/4", 5/16", 3/8" and 7/16" diameter bolts up to 4" in length for certain diameters. Self colour or non plated types are now not commonly used, but are normally available but not carried in stock. Typical applications for this very widely used product include steel fabricators, machine builders, automotive applications and the mining and construction industry. Please note: Our Image is of a generic standard bolt and nut and thread lengths vary slightly per size so check with us before ordering if this dimension is of importance. Typically, thread lengths for our hex bolts will be to the recognised Australian or International standards. All bolt lengths are measured from under the head.